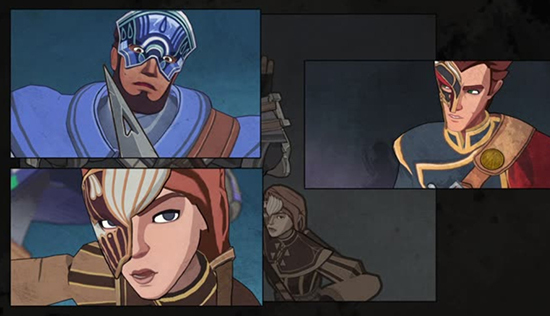 Masquerada: Songs and Shadows, the tactical RPG from Ysbryd Games and Witching Hour Studios featuring a star-studded cast including Matt Mercer, Felicia Day, and Jennifer Hale, will release on Nintendo Switch May 9. The search for a missing friend leads Cicero Gavar on a Renaissance-era Venice inspired journey through a city-state steeped in secrets and ravaged by civil war between social classes. Harness the power of the elements in real-time combat with tactical pause and unearth the truth behind the elusive, magical masks called Mascherines. "Masquerada was an incredible experience for me. As a lover of storytelling and character development, the incredible writing of the game drew me in immediately,” said Matt Mercer, voice actor for Cicero Gavar. “Now mix this grand tale with my love of Isometric RPGs of yore, and I'm sold on multiple levels. I'm not just a cast member of the project, but a dedicated fan."